* This event has now sold out. Please contact victesol [at] victesol.vic.edu.au to go on our waiting list or to register your interest in possibly attending this course in the future. Many mainstream teachers are now primarily responsible for their EAL students’ English language development and academic instruction. Teachers need feel confident and empowered to meet all their students’ needs in their classroom knowing that EAL instructional strategies are good for all their students. ‘Teaching young children in English in multilingual contexts (TYCEMC)’ is one of a suite of professional development programs for teachers developed by Lexis Education (https://lexised.com/) to support them in the implementation of pedagogically sound teaching practices that create innovative, engaging and ultimately successful learning environments. 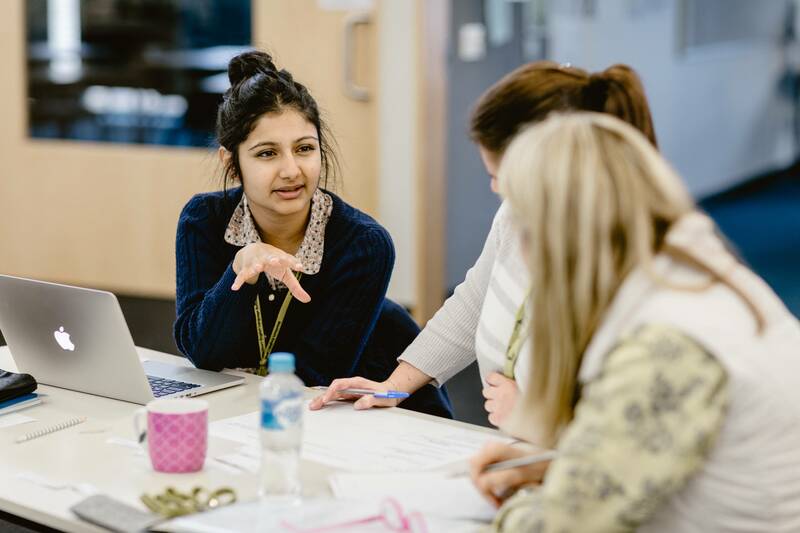 This course is organised into seven modules, designed to support teachers with their EAL students in mainstream classrooms (Refer to ‘Course Overview’). It is relevant for all teachers/leaders working with young EAL students in Foundation to Years 4 who are learning through a language that is not the primary language. The course materials present strategies and discuss issues supported by readings, which consistently address the fundamental relationship between language and learning. Provide teachers with an opportunity to engage in rigorous and sustained professional development. Develop teachers understanding of the support needed for those young learners for whom English is an Additional Language to be successful learners. Provide all teachers with successful strategies for effective teaching and learning across the curriculum with a key focus on supporting teachers with implementing procedural, narrative and explanation texts into their classrooms practice. This will lead to learning improvements for all students, with successful strategies for improving the learning achievements of all their EAL students. Promote whole school approaches to the teaching of EAL students in the mainstream classroom. Teachers showing interest in the course would need to be aware of the between module work requirements and attendance expectation required to gain a certificate in this course. The work requirements are very practical but the course does require participant’s commitment to trialling strategies in their classrooms and engaging with reflective writing practices. A trained TYCEMC tutor will deliver 21 hours of face to face learning within seven modules, when combined with between module activities, is equivalent to 40 hours of professional development. Margaret Nutbean has over 39 years teaching and leadership experience supporting EAL/D students and their teachers. Her roles have included Co-ordinator – EAL/New Arrivals Program and a Literacy Educator with the Catholic Education Commission of Victoria, EAL/New Arrivals teacher and Coordinator, Literacy Leader and classroom teacher. She recently completed a Masters of Education, with a focus on the EAL learner, and lectured in ‘The Professional Certificate in EAL’ at Melbourne University. Margaret is currently working as an independent EAL Consultant alongside classroom teachers/leaders as a mentor and facilitating Professional Learning sessions/courses to support them with EAL/New Arrival/ Refugee students in mainstream classrooms. She has also facilitated the ‘Teaching ESL Students in Mainstream Classrooms (Yr. 3-Yr 9)’ course in Primary andSecondary schools for the past nine years and more recently the ‘Teaching Young Children in Multilingual Contexts (Foundation -Yr. 4)’ course. Margaret has presented at a number of VicTESOL and ALEA Conferences over the years and has written units of work, alongside mainstream teachers, for the recently published TEAL Website (Tools to Enhance Literacy Assessment for Teachers of English As an Additional Language). The program will be hosted by: VicTESOL and is open to primary teachers/leaders working with students in Foundation-Year 4. It is highly recommended that a team of two or more teachers attend the course. On the successful completion of the course participants will be issued with a certificate indicating modules attended, activities and readings completed. N.B To receive a certificate, participants must attend at least 6 out of the 7 modules. Please note that VicTESOL reserves the right to use photos from the event for publicity and promotional purposes. For more information regarding VicTESOL’s Privacy & Refund Policies, please click here.